If you create an Official Facebook Fan Page for your Business, Brand or Website and now you want to delete it. But be sure before deleting Facebook fan page as you will not be able to get it back and you will loose all your Fans, Data, images from there. Step 2. Go to your Facebook Fan page. You can go there by selecting “Account” (Top righthand corner) and then clicking “Use Facebook as Page.” And Select the Facebook Fan Page that you want to Delete. Step 3. Now ot you’re at your Facebook Fan page, click “Edit Page” (Top righthand corner). Step 4. 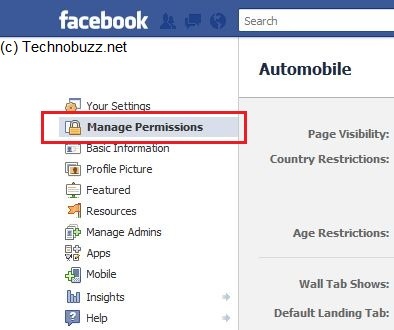 Now click “Manage Permissions” (from the lefthand sidebar). Step 6. 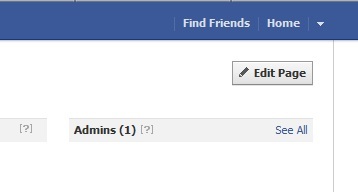 Now new menu will open with am Message “Delete Page Permanently?” Clcik Dleete Button to delete the Facebook Fan Page. Thats it! Now your Facebook Fan page is deleted. I’m a bit confused on that, can we import our fan page contacts and move it to a different account once our previous fan page is deleted? If so, how can we import our contacts? Thanks for sharing such informative post..! !